Whom am I dealing with? Turboloans is an easy to use website for quick closings. Desert Equity Lending, LLC NMLS# 173369 | MB-0906989. Are they reputable? We are the only mortgage company that we know of that has absolutely ZERO complains anywhere that you may search. How long have they been in business? In 1999 we ventured out to online only, to save the consumer the most amount of money possible. Are they licensed? 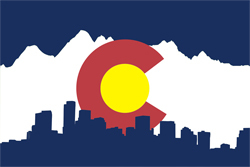 Actual photocopies of the state issued Colorado and Arizona licenses are prominently on our homepage of our website. We do not know of any other company that displays theirs in that manner. Do they charge upfront fees? Absolutely not. The only thing you have to pay for by Federal law is the appraisal fee. How do I get started? It is as simple as this. Just fill out the fully secure online application easily located on our website. How fast do they close? As a broker, the bank itself underwrites, approves, draws loans documents and funds the loan. This eliminates all the headaches from using a "direct lender" who has to put your loan on a dangerous warehouse line, which could be over extended, and your loan will not fund in time. Also your direct lender or in-house underwriter has to underwrite your file to a variety of diferent bank guidelines which causes you to send items over and over again. This is the biggest complaint that consumers have in the industry right now. We do not have that. f.) Any gift letters, if you are using a gift from a parent or relative or other organization to help pay the down payment and/or closing costs. This letter simply states that the money is in fact a gift and will not have to be repaid. Having these items on hand when you visit the mortgage company will help speed up the application process. Usually, an appraisal fee will have to be paid when you submit the mortgage application. After you speak with us, you should have a general idea if you qualify for the size and type of loan you want. Thank you. Prequalify - We will help you determine just how much house you can afford. Calculate - Find out what your payments would be, compare the cost of living between 2 cities and more. Check Rates - Browse through our interest rates for different loan programs. Updated daily. Apply Online - Use our secure, online 1003 mortgage application which will be placed in top priority and receive immediate attention. After the mortgage application, we will let you know if you qualify for the loan within a couple of days. Contact Us - If you have any questions or if you need help with anything on this website.